Kicking Back, 11×14 oil on Ampersand Art Supply​ gessobord. $425. Corner Gas” 8×10 oil on Ampersand gessobord. $275. $25 from the sale of this painting will go to CTMHV. Here’s wishing all my family and friends a very Happy Holiday and Blessed New Year. I’ve managed to get out every week to paint, except for this week. I scheduled a paint out at Willistead for Monday, but the fog had other ideas. Many of our group members are from the county. The last thing I want is for someone to drive in that mess. It looks like December’s weather is going to continue to make things difficult for painting outdoors. We can paint in most weather, however, rain is a pain! I’m happy to say we did get out and paint in the first snow of the year. We went to the Transportation Museum and Heritage Village. They were decorating the museum and village for Christmas. We had planned on a group breakfast in their 50’s inspired diner. Little did we realize that they had changed the diners hours for the winter. How disappointing! However, the kitchen staff was there cooking up lunch for the volunteers, so they kindly opened up just for us. We were blessed! I painted a wee log cabin that day. It was originally owned by the Clark family. They were some of the original settlers in Essex County. The family still lives in the area, as do many who were granted land by the Crown. I went to school with the descendants of the family who lived in this tiny home. I had no idea that was the name of the cabin until someone mentioned it on Facebook. Funny thing, my maiden name is Clarke. Call me silly, but it made my day. It was a chilly day, and while I was painting it started to snow. Regular oil paints would not be budged in this weather, but I paint with water soluble oils, and they don’t like to get wet! Like the Richard Harris song, you don’t want to leave the cake out in the rain. I had to quickly turn the painting upside down. I ran off to get my van and umbrella to try to shelter my work from the snow. I did manage to continue painting in spite of the snow. I wanted to complete it on site. Almost all of my work is done entirely on location. I live in a very tiny house, and as a result I have no indoor studio space. The great outdoors in my studio. I made the painting into a holiday gif, that you can see above. That was NOT easy! I had to learn how to do it. I looked up the tutorials online and worked on it for days, in a free program called The Gimp. The Gimp is much like Photoshop. I struggled with the tutorials, and it just was just not working. Eventually, just did it my own way. Guess what, it worked! You can see the original painting without the snow below, and soon on my available paintings page. 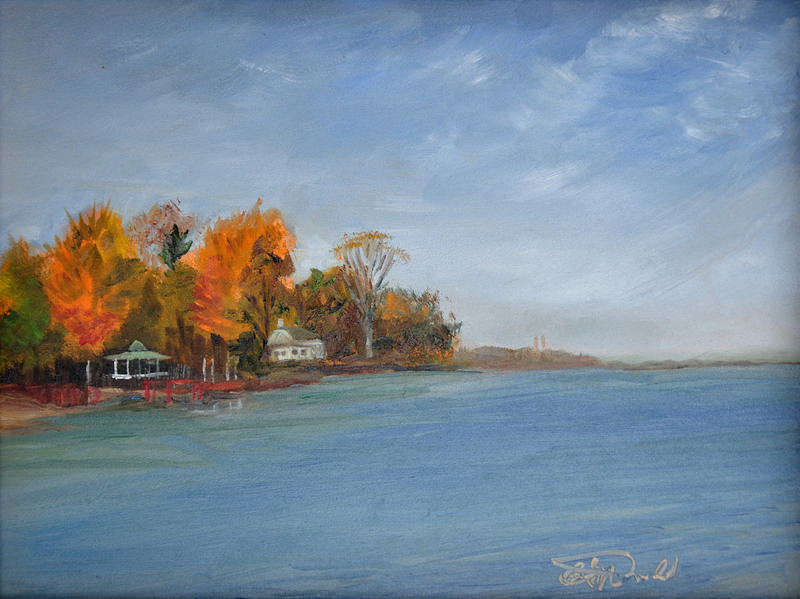 On The Clark Cabin painting, as well as many of my paintings, I used a limited Palette. On the Clark Cabin palette included: Yellow Ocher, Ultramarine Blue, Burnt Sienna, Cadmium Yellow Light, Quinacridone purple, a dab of Cadmium red on the bow, and Titanium White. I’m sure those strange colour names can be a bit confusing; artist quality colours are generally named for their ingredients. A limited palette is a challenge many artists impose on themselves. The goal is to see how well you can mix colour. For Plein Air Artists, the less paint you have to carry in your gear, the better. A back pack can get heavy very quickly. If you are flying with your gear you really have to watch your luggage weight. I’ve taken up this challenge many times. I’ve not always recorded what paint I used. I’m embarking on a new habit of photographing my palette before and after the finished painting. A three colour plus white is the ultimate limited palette. This palette usually includes some form of the three primary colours of Red, Yellow and Blue, but there are many shades, and hues of these three colours and knowing how to work with them is the challenge. In the slideshow above you can see the limited palette I used on the painting, Malden Hiltop, along with an on location sight size photo. Sight size is another very common method of painting which I will cover in a future article. I’d like share with you what I’ve been up to in the last few weeks. As always, I’ve been busy organizing paint outs with my group, framing paintings to exhibit at Artilicious, painting, entering paintings in contests with the Oil Painters of America, delivered a painting to its new home in Amherstburg, cleaned up a flooded basement, (yah that happened) and went to three fundraisers in one week. Yep, I never stop. 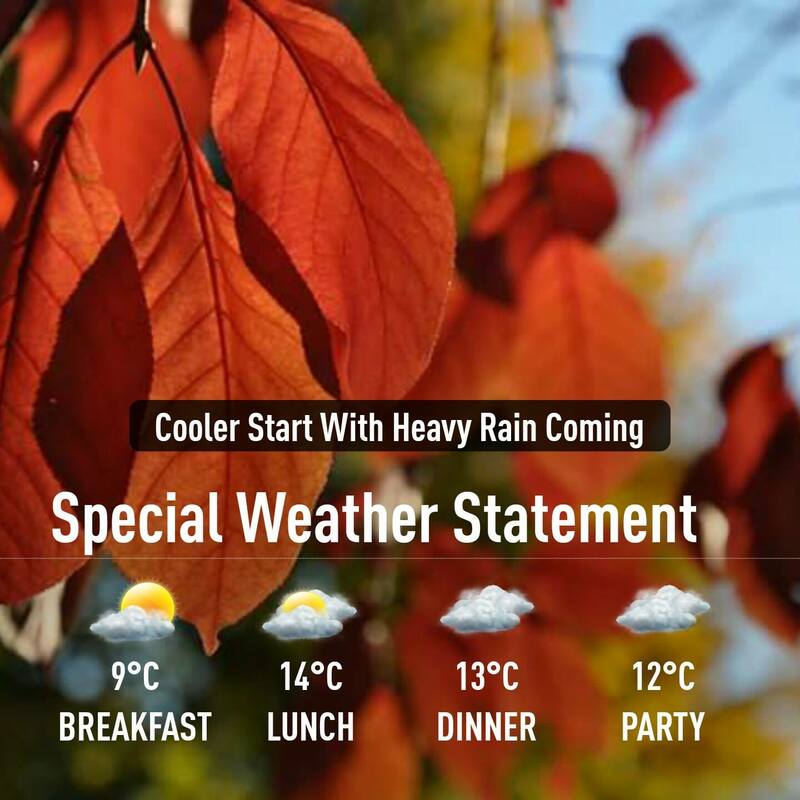 I sent a photo to Arms Bumanlag the weather reporter at CTV Windsor that he used on his Facebook site on October 27th. Delivered a painting that I painted at the Doors Open event in Amherstburg. Pensioner’s cottage at the Park House Amherstburg Navy Yard park. I entered these two paintings in the Oil Painters of America Online Showcase. Lean on, Plein Air Ojibway Park. 8×10 Oil on Ampersand panel. $275 framed. Donated a painting to a fund raiser to help a family with three children who are going blind. Title: Well travelled Path. Location: Ojibway 8 x 10 framed Donated to Rankin Family Fundraiser. People say I’m busy. I guess they are right! Thank you for following my painting journey. You may also purchase them the night of the event at Caesars Windsor. Once a Month Blogger? I’m dreaming! Long, but interesting post follows, get a cup of coffee, glass of wine, or maybe even a seven course meal! 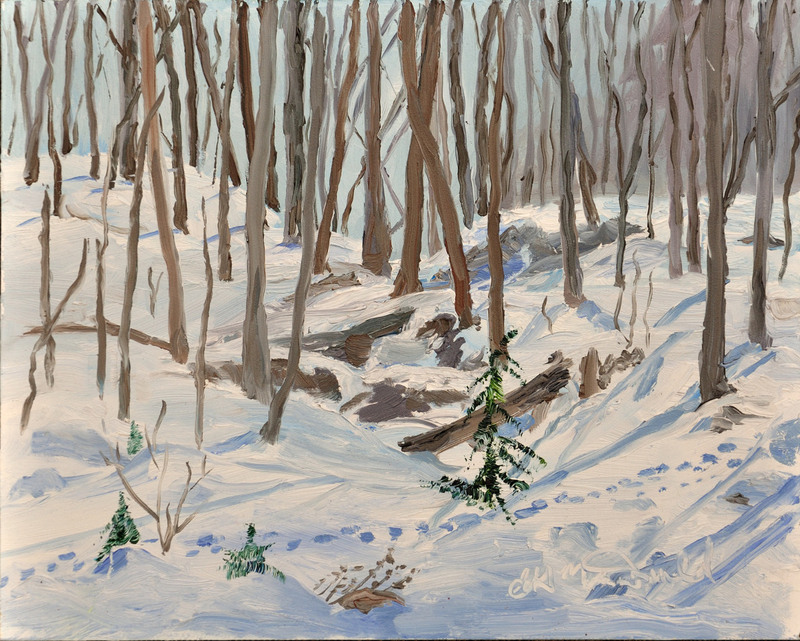 The other thing that keeps me hopping is running the Windsor & Essex County Plein Air Artists group. I keep up the website, Facebook group and page, and the weekly emails. This group keeps me, and other wonderful artists painting. Without this group I’d be less motivated to put brush to canvas. Painting en plein air is not only artistic, it’s social. The public is always welcome to join us on location to watch or even paint with us. It’s free! Yes, you heard right, no charge! So, enough with my woes! Here’s what’s been happening in my world in the last (Egad!) eight weeks! OH! and two very important events for you! I have four paintings in this Plein Air Show. Opens on Wednesday, September 30th and runs until Sunday October 25th. Reception will be Sunday, October 11th from 2 – 4 pm. I am participating with two tables of my art at this event. Come to Caesars Windsor on November 3rd, from 5 pm until 8 pm, and see my new work, sample some yummy goodies, and help support the Kidney Foundation. Sample unique and delicious food from at least 20 local eateries, shop local artisan booths just in time for the holidays, enjoy a selection of pastries, a McCafe coffee and much more! Tickets are $20 in advance at www.kidney.ca/WindsorEssex, or at Nancy Johns Gallery (4755 Wyandotte St. E., Windsor), and $25 at the door. Children 10 and under are free. Like us at www.facebook.com/ArtiliciousWindsor for updates on featured restaurants, artists and donors! Artilicious is proudly sponsored by Caesars Windsor, Infiniti of Windsor, Riverview Steel, AM 800 CKLW, Eyes on Windsor, Biz X magazine, Windsor Police Services, Unifor Local 444 and McCafe. Invited, with my group to participate in this event. We had a wonderful weekend. The weather was spectacular! Costumed reenactors roamed the park, and even shot off a cannon. The blasts made me jump every time! I took a short video of the firing of the noon gun. When our group paints at special weekend events we usually don’t paint on Mondays. I’d had a busy weekend at the hawk Festival. But, it was such a beautiful day! Wendy called me at 8:00 a.m. “Wanna go painting?” Yep, I could not resist! We decided on River Canard Park. Then I quick put out an email, and Margaret managed to join us too. This is why I love our group. We keep each other hopping! Our group was invited to participate by painting on location at the Hawk Fest. This festival is a two weekend event where the ERCA, Essex Region Conservation Authority, bands and releases Hawks and other migratory birds. Our region is a major flyway for many species including the Monarch Butterfly. I was told that there were about 500 butterflies resting at the waters edge ready to take off across lake Erie. I was so busy I didn’t get a chance to go see them. Maybe next year! I did however see a few flitting by as I painted. Below are some photo’s of the event along with a video of a hawk being released. It’s always wonderful to receive a verbal thank you, but when you receive a great thank you letter it just makes your day. I wanted to extend a huge thank you (and your crew of artists) for your attendance as demonstrators at this year’s event. Over the two weekends in September, we welcomed well over 2,000 visitors to the Holiday Beach Conservation Area. That was in no small part due to the efforts of the many volunteers, vendors and educators that made this year’s festival possible. Demonstrators like you play a crucial role in striving towards the goals that the Essex Region Conservation Authority has set out. Your presence at Hawk Festival was greatly appreciated as we engage citizens young and old in the natural environment. While Holiday Beach is world-renowned in the birding community, it’s important to engage the community and make sure it’s a top destination for locals and visitors alike. You and your crew of artists were a unique and interesting addition to this year’s festival, demonstrating both amazing artistry and appreciation of the natural environment. Personally, as it was my first year with ERCA and first ever experience at Hawk Fest, I was astounded at the positive energy and fantastic attitude of everyone involved, and I look forward to working with everyone again in the future. Please pass along this message to your fellow artists. Thanks again. Every Monday we paint on location and we don’t normally take holiday’s off. On labour day we painted at Ojibway Park. There were quite a few visitors to the park on this lovely afternoon. It actually was a very warm day. The Ojibway nature centre is the hub of one of the most endangered wild areas left in Essex County. Many are trying desperately to save the area around this tiny woodland. It is my hope that it will be preserved. I have a policy that with the sale of any painting from my Ojibway series, I will donate $25. to the activity program that is operated out of the nature centre. Malden Park is a 175-acre park features the highest hill in Essex County. Naturalized biking and cycling trails wind up and down the hills and through paved and wood chipped trails. 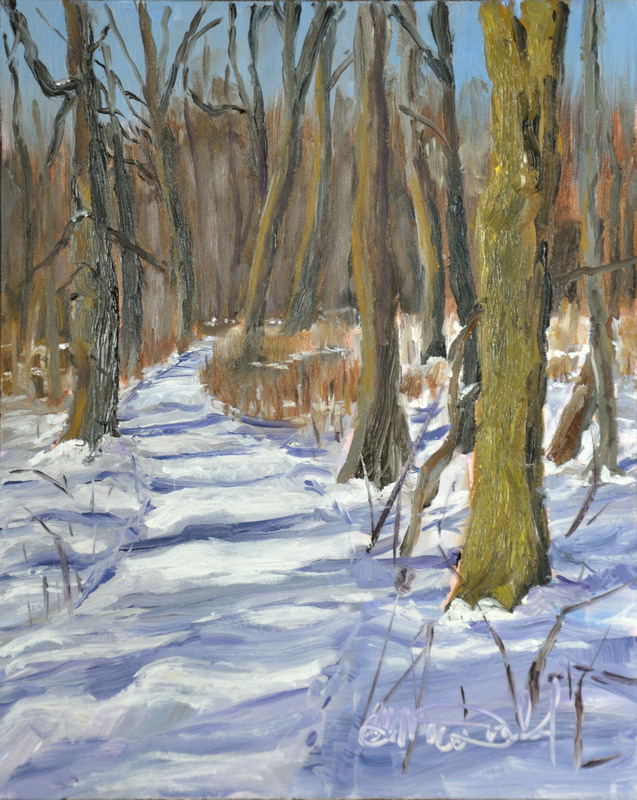 This beautiful park is a wonderful spot to paint in, and is also close to the Ojibway conservation area. This Monday the group met at this park. Some met on the West side, where I was located and others met on the East side where there is a pond, and the welcome centre. After the Paint Dexter event I decided that because I was already in Michigan I might as well head up to our trailer. I am fortunate to have a get away place on my brother’s property in Prescott, Michigan. We have a 1976 31 foot vintage Air Stream Land Yacht travel trailer. She’s in fairly good condition, but needed a bath badly. There is a large oak tree that drops black sap all over it. My brother recently acquired a power washer, so I worked on my baby for three days! She still needs to be polished, but not this year! Ouch were my muscles sore. I love our trailer. But, my red neck neighbors not so much. There is a tree on their property that they started to cut down. I suspect they stopped when they realized it was going to fall ON my trailer. But… then they LEFT the tree half cut! I need to get my trailer moved, as they are not responding to our pleas to get the tree down safely. So, hopefully next week we will get it moved. Just need someone who has a vehicle to help us pull it out of harms way. The trip was not all work though. My sisters (in-law) and I took an overnight trip to the upper peninsula. We stayed at Blaney Lodge, and took off early the next morning to explore Tahquamenon Falls. I did a quick watercolour sketch of the falls. It was not easy as people were jostling to get a view of the falls. I tucked myself into the corner of the guard rail, trying not to hog the premium viewing space. Later we stopped at Whitefish Point Light Station. There was a very windy beach, and it was pretty cold. While my sis-in-laws toured the lighthouse, I found a sheltered spot on the beach and painted a quick sketch of a mother and daughter rock hound duo. Wow! This seems like ages ago! Once again Dexter proved to be a wonderful experience. There were 70 participating artists. That’s a LOT of artists! This year the organizers split the categories into professional and emerging artists. This would give the emerging artist a better opportunity to gain experience. I entered the professional catagory. But, for me it’s not all about the competition, it’s about meeting and interacting with the townspeople while you paint their local landmarks. The person that I’m competing against is myself. I go into this type of event because it challenges me to give my very best. Winning an award is a bonus. If you are so lucky to catch the judges eye. This year I didn’t catch his eye, but I did catch the eye of two collectors. Two paintings out of the three I was able to submit sold. I painted a total of 6 paintings at this event. Painting this many in a short period of time is good practice. Painting under pressure is also good practice. Here are some of my paintings from the Dexter event. So, there you have it. What I’ve been up to over the last eight weeks. I’m off again to Michigan to visit family and celebrate Thanksgiving with a Fall Colour Tall Ship Cruise out of Bay City, Michigan. Stay tuned for more fun! Living the Dream! The Gibson Gallery 8 x 10 Oil on Ampersand gessobord $275. framed. Painting the gallery on location . Say hello to my latest plein air piece. This is the lovely Gibson Gallery located in Amherstburg, Ontario. My group, The Windsor & Essex County Plein Air Artists group exhibition “Painted on Location in the Great Outdoors.” is currently on display there until August 2nd. This painting will be one of over 35 paintings featured in my solo exhibition at ArtSpeak Gallery in Windsor, Ontario. This exhibition opens on Monday July 20th, and runs to Saturday July 25th. 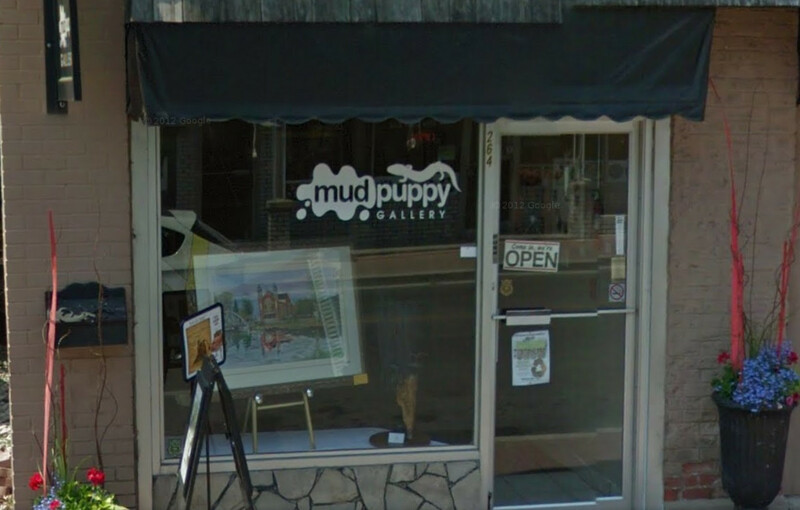 ArtSpeak Gallery is located in the historic neighborhood of Walkerville. It is my extreme pleasure to be showing my work in the gallery during the 13th annual Art Walk & Rock Festival. This festival is one of two annual art walks, and by far the best attended. There will be dancing in the streets to the rock bands. and foodies in the cafe’s sampling local wine, and craft beer. An event not to be missed! I’ve actually painted this old willow more than three times. I’m continually drawn to it. It’s tenacity to remain upright no matter how much the storms and age try to take it down, intrigues me. With broken limbs, and burled trunk she sprouts new leaves every spring. Each time I set up in front of her, I study her many bruises. I think how much we also get bruised and battered in life. Hopefully, we hang in there like this strong tenacious willow. She is respectfully known as “The Grandmother” by the Ojibway natives. She resides at the beginning of the northern trail at Ojibway Park. She, maybe broken, but her spirit is strong. No one who passes by, can ignore her. This park is currently threatened on all sides by urban sprawl. Stand tall Grandmother. Stand your ground. Speak of all that you’ve seen in your long lived years. Speak to the world a wise word of warning. Genesis 1: 29 Then God said, “I give you every seed-bearing plant on the face of the whole earth and every tree that has fruit with seed in it. They will be yours for food. God help us. What have we done? Forgive mankind for our disrespect of your precious gifts. I pray it’s not too late. Battle Scarred, Image size 7 x 10 1/2 Watercolour Framed $125. Battle Scarred Two. 12 x 16 Acrylic on Canvas $150. A Few Paintings I Missed. Chance Encounters of the Marine Kind at Gil Maure Park, LaSalle, On. 9 x 12 Oil on Canvas panel. $350 framed. Through the Ravine at Ann’s 8 x 10 Oil on Ampersand panel$275 framed. Shores of Tecumseh, Lake St. Clair. 9 x 12 Oil on Panel $350. framed. One thing preparing for a show will do for you is get you organized. Seems that these paintings were not on my blog. I seemed to have missed one from Fall, Winter, and Spring. So here you go, enjoy! July is Crazy! Especially this year! So many things happening this month. Oh the EXCITEMENT!! I’m finally having my first solo exhibition! Next week should be quite interesting. Over a year ago I booked our local Art’s Council. I actually booked last week, but they called me and said they had to move me one week ahead, did I mind. Actually, I did mind as there was another event that I like to attend every year, Explore the Shore. Moving the date would mean missing that weekend. There were no other openings, so I had to take it or loose out on the gallery all together. Little did I know what would happen. Every year the neighborhood of Walkerville has an Art Festival. I happen to live in this great historic neighborhood. This is a pretty exciting weekend. They close down the streets. Rock bands play, patio’s fill up and there is a great deal of excitement. You never know what weekend they will choose. Well, what made this so exciting is that my show just happens to be running during on the weekend of this great event! I did not plan this, but mind you, I had hoped. This means that the traffic in the gallery will be quite high. So, think of me next week, and come visit me at the Artspeak Gallery. My show runs from July 20th until July 25th. So what else is happening? 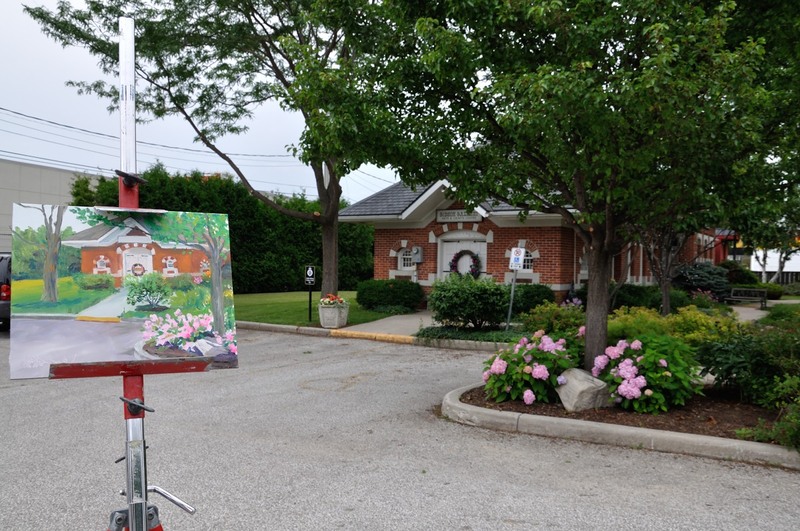 As you may or may not know, I run the Windsor & Essex County Plein Air Artists group. 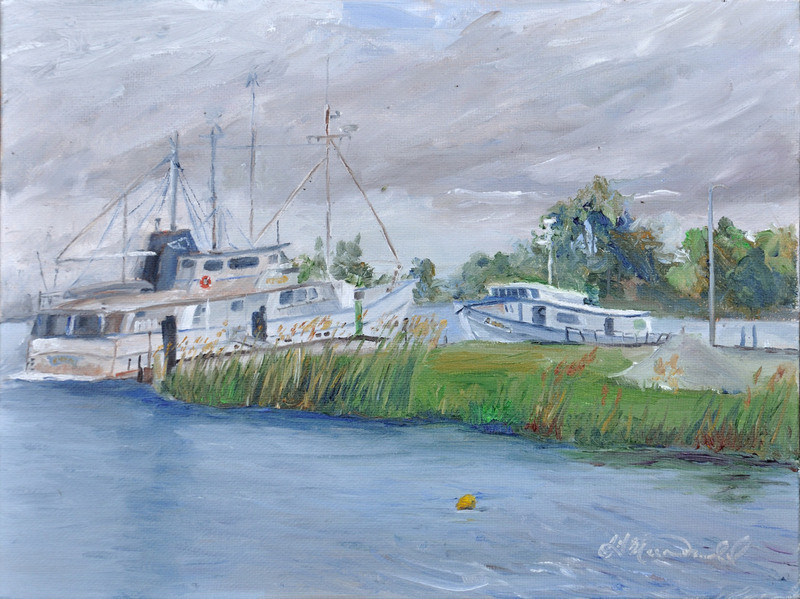 We have a solo show in the lovely town of Amherstburg at the historic Gibson Gallery. The show has 12 fantastic artists participating in it. The work is simply phenomenal. Our opening was a great success with a full house. We have been asked to hold the show over to August 2nd, and we are planning a closing reception on that Sunday afternoon. So if you missed the first reception, you have the opportunity to attend the 2nd. 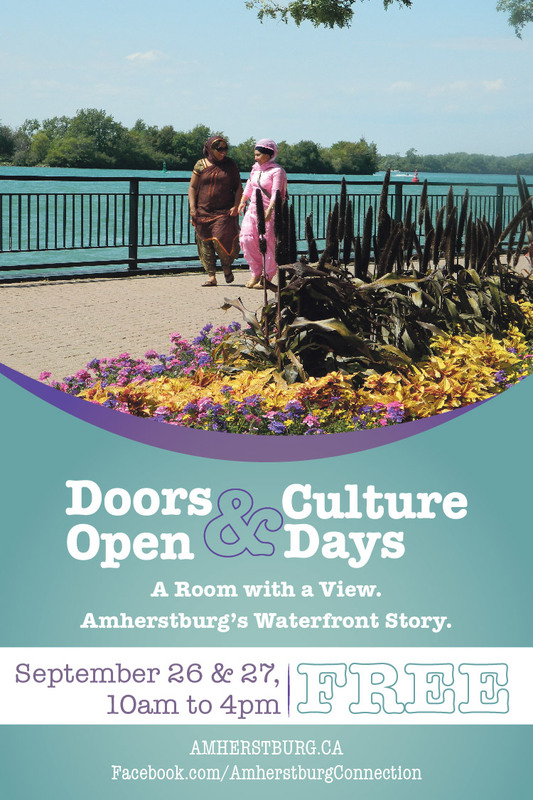 Join us from 2 until 5 at the Gibson Gallery in Amherstburg, On. Month long Windsor & Essex County Group exhibition at the Gibson Gallery in Amherstburg.